Claire put on her purple skirt and her new white T-shirt with a small panda on the tiny front pocket. She checked herself out in the mirror and smiled. She liked what she saw – in her room anyway. She smiled at herself again. Today is the day you will not be so shy, she repeated what she said to herself everyday. Hoping one day it would stick. Claire was twelve, tall and thin. She liked her dark honey blonde hair. She liked her eyes and most everything about her and for the life of her she could not figure out why she was so shy – only she was. Everyday she worked on overcoming it and everyday she made a little bit of progress. This very minute she was excited for the day’s field trip. Today her class was going to the largest animal rescue shelter and observation center in the eastern United States. Claire wanted to be a vet when she grew up. 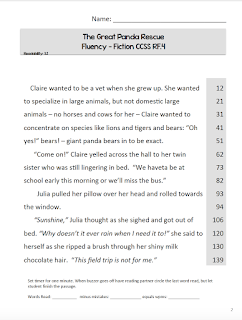 She wanted to specialize in large animals, but not domestic large animals – no horses and cows for her – Claire wanted to concentrate on species like lions and tigers and bears: “Oh yes!” bears! – giant panda bears in to be exact. Julia pulled her pillow over her head and rolled towards the window. “Sunshine,” Julia thought as she sighed and got out of bed. “Why doesn’t it ever rain when I need it to!” she said to herself as she ripped a brush through her shiny milk chocolate hair. Julia pulled away and went to her closet. “Or just leave it messy,” Claire mumbled as she headed down the hall for breakfast. Julia and Claire were not identical twins, but they had that twin bond enabling them to think each other’s thoughts and feel each other’s feelings. Claire was younger, by only a few minutes - Julia was smaller and Claire was very competent at helping Julia do everything. Sometimes Julia liked it and sometimes she didn’t. Julia grabbed a pair of jeans and a long sleeve T-shirt. “You’re going to be hot,” Claire stated matter-of-factly. “I thought you went to the kitchen,” she said tugging on her jeans. Julia pulled on her shirt. “Maybe I think you are going to be cold.” Julia whisked past her sister and went into the bathroom. “Will you do a ponytail?” Julia smiled. Without another word, Claire patiently brushed Julia’s hair into a flowy ponytail. “Do that after you eat,” Claire was not trying to be bossy, only helpful. “Big field trip today,” Mom said as she poured juice and placed cereal and milk on the table. “That doesn’t actually happen,” Julia said slowly, remembering what their teacher told them about circus animals, and such, ever getting back to the wild. “I read that there are just about 2,000 giant pandas living in the wild,” Dad said as he poured his coffee and joined the girls at the table. “I believe 1,864 to be exact,” answered mom. “I was born in 1970,” Dad said. “Not really ancient,” Mom said. “Careful with the cuddly stuffy Claire. They have the DNA of a bear and the teeth of a dog and one can rip your head off,” Julia swiped her hand and roared for affect. “Besides the cubs aren’t going back only the mom,” Julia said matter-of-factly. “I am going to save them all,” Claire retorted. “And I am going to be a ballerina,” laughed Julia and the whole family joined her. Julia did not like to dance – that was also her sister Claire’s thing – dancing, art and pandas – and well school. Claire liked school too. 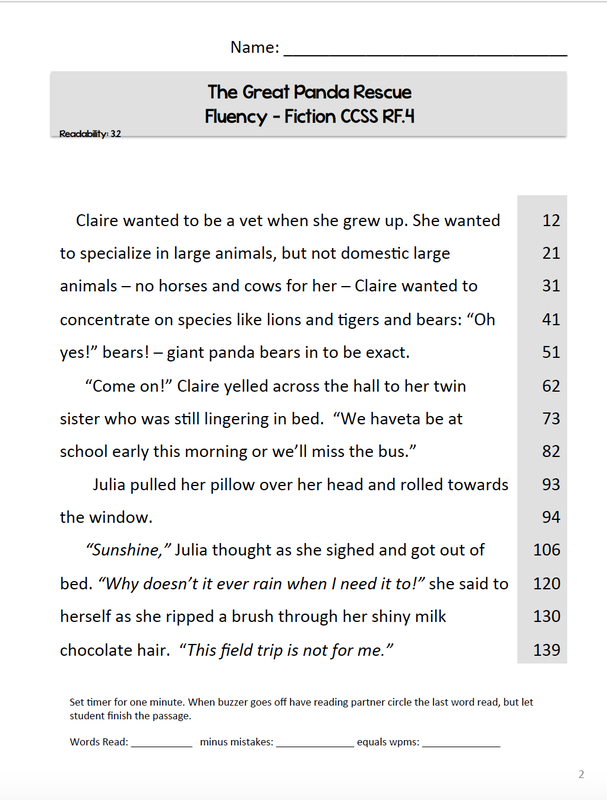 FREE 17-page Print-and-Go Reader STEM. Chapter 1 and lessons included. 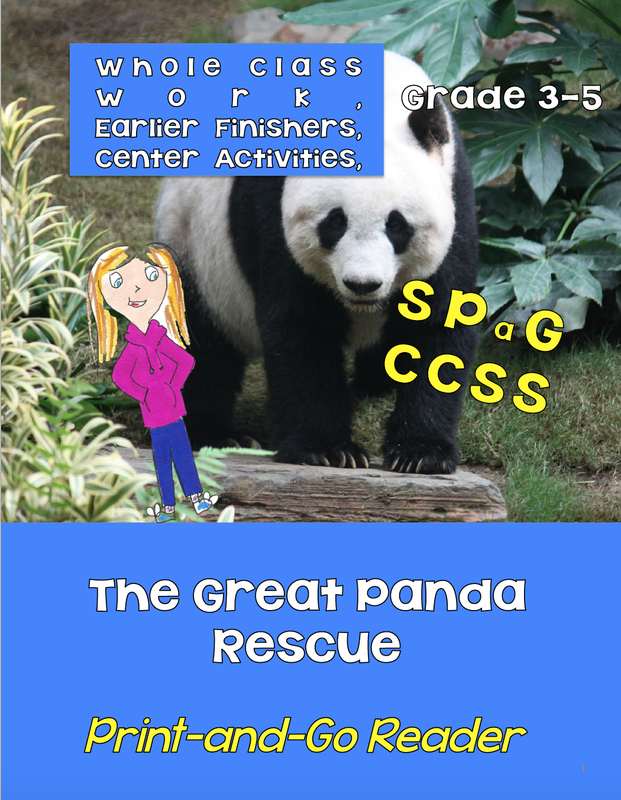 This is Chapter 1 of “The Great Panda Rescue” Interactive Reader. This is a perfect STEM story with ELA, SPaG and other cross-curricular activates and lessons for each chapter. 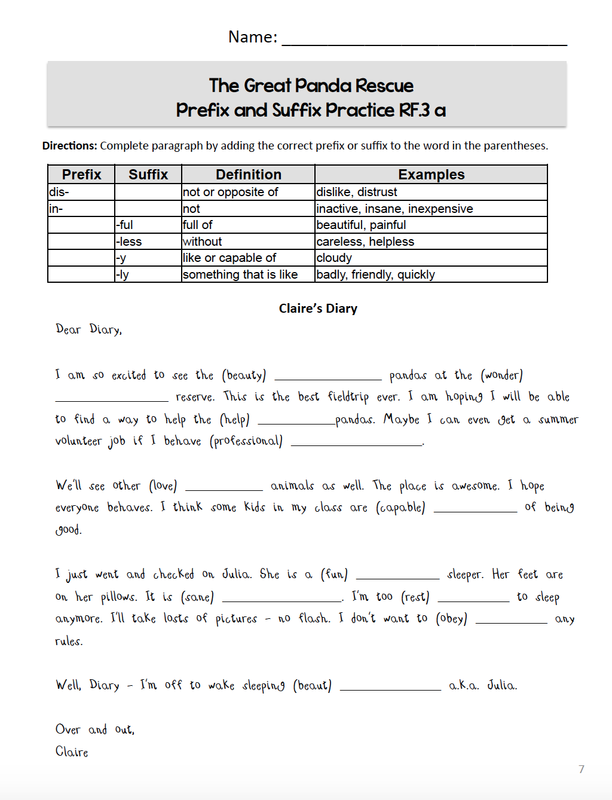 Lessons include: fluency, comprehension, grammar, vocabulary, science, math and more. This particular chapter is aligned with 3, 4 and 5 CCSS for ELA. 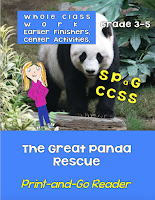 Amazing Pictures and Facts About Pandas: The Most Amazing Fact Book - This is a non-fiction book full of information and photographs about pandas. Beautiful book - great info. 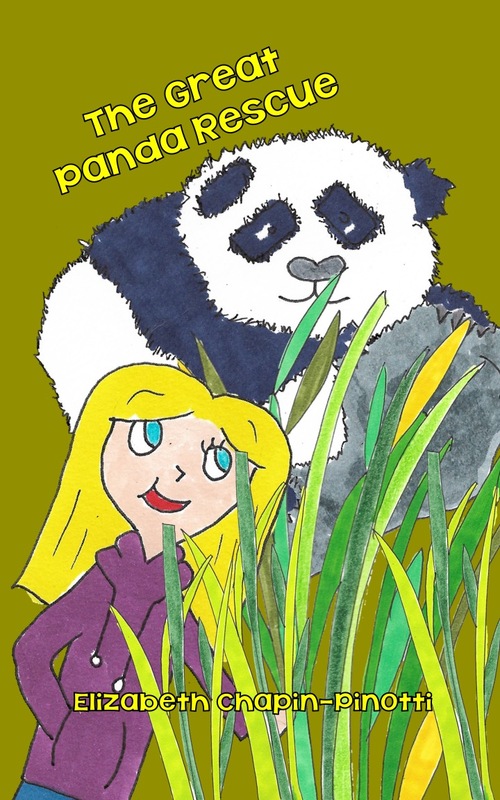 Giant Panda: A Children Pictures Book About Giant Panda With Fun Giant Panda Facts and Photos For Kids - This is an easy reader, with full color photographs, and fun facts about pandas. Zen Shorts - A Caldecott Honor Book - Three children meet a panda named Stillwater in their backyard - who tells amazing tales.